September sky at O’Sullivan Lake. 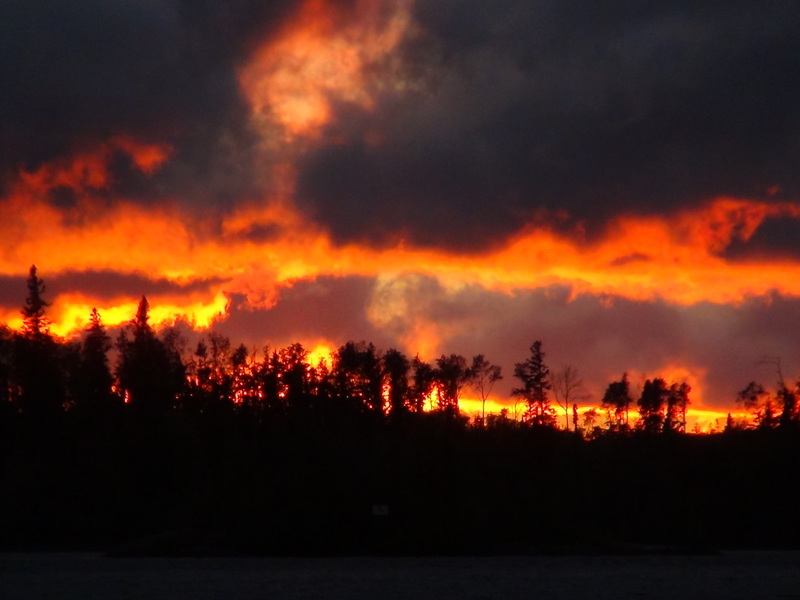 Looked like everything was on fire. I guess there is no reason to pretend this is a story about horseshoeing. It does involve farriers so it belongs here…. right? All the focus was on the shore lunch prep. Allen Horton was the supervisor and Matt, Mike, Wade and Roy were ganging up on the cook stoves. Dave and Chris had been on the summer sausage detail. 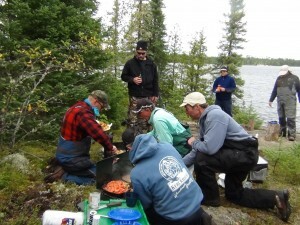 This month a group of farriers and a few other friends met in Thunder Bay, Ontario and went on to O’Sullivan Lake near Nakina, Ontario. I’ve plugged the camp before – O’Sullivan’s Rainbow – but it is such a good camp and lake I’ll do it again. 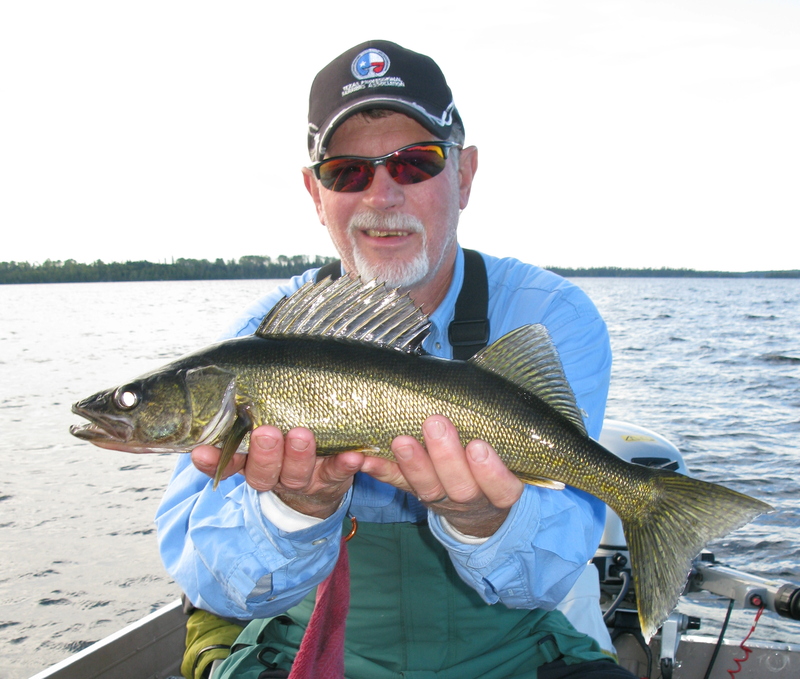 If you are ever considering a trip to a Canadian lake and spending your time fishing and exploring, this camp is a good place to do it. 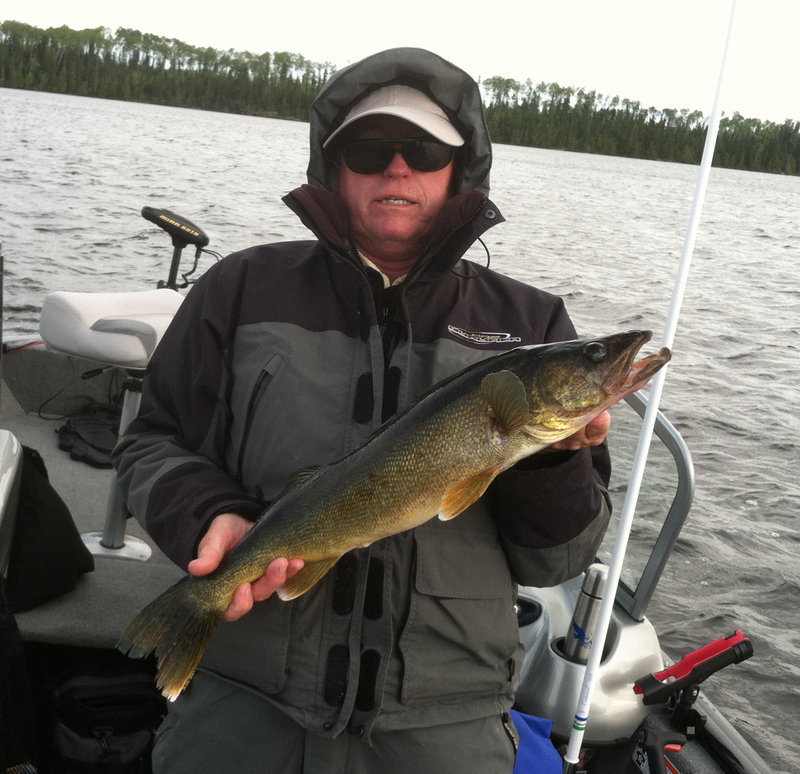 You would think Dave Farley would manage a smile with this fish in his hands but I think he was a bit too cold at the moment. Everyone was coming from really hot, humid weather and were ready for a break. What they didn’t expect was such a dramatic break, with temps only reaching the upper 40’s to low 50’s with strong winds and sporadic rain the first couple days. The group didn’t back off and sit idly in the cabins. Everyone put the layers on, some wishing for more, and piled in the boats and began one of the most productive fishing weeks we’ve had with a group. By mid-week the temps were rising and the sun was shining, at least off and on. 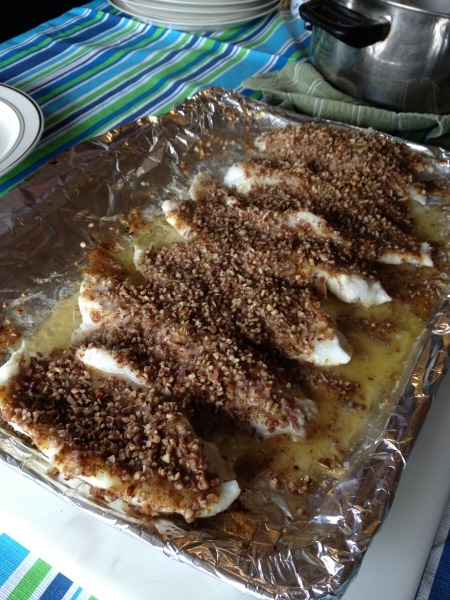 Roy’s walleye and the honey pecan recipe- no leftovers. Everyday we met in the mid afternoon for our main meal of the day, organized by Chef Roy Bloom. The man’s chef, he is. 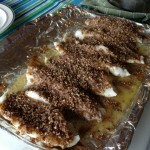 Forget about deep frying your fish- check with Roy for his grilled fish recipes. You may never take cooking oil to camp again, except a few ounces for the shore lunch. You will want to be sure you have mountains of butter though. You can’t cook without it if you follow Roy’s lead. The trip ended with very good weather- still much cooler than what waited for most of us at home. I think everyone was ready to get back to the work and folks waiting at home but they went with a fresher spirit than they came with. That’s what it’s all about. Mike Chance didn’t have any trouble breaking out a smile- but the temperature was probably 20 degrees warmer at this point in the week. This entry was posted in On the Road, People, Scenic byways and tagged Farrier, farrier world of horseshoes - gone fishing, fishing, horseshoes, O'Sullivan's Rainbow. Bookmark the permalink.